This Sonax bookcase has eye-catching design and durable features. Accessible open storage provides ample room for displaying framed photographs, knick-knacks, books, and other objects. Thanks to the sturdy construction of this Sonax cubed bookcase, your items will be well-protected and organized. Classic in design with a practical form, the Quadra Collection bookcases are offered in 3 different heights making the perfect addition to your home. Getting organized is easy with these carefully designed pieces that assemble in minutes! Create a new look by configuring multiples in different heights together for a decorator look. Available in your choice of black, white or walnut faux woodgrain these versatile pieces make an easy choice for any decor setting. Perfect for any contemporary room, this stylish Monarch Specialties bookcase has plenty of room for all kinds of items. Accessible open storage provides ample room for displaying framed photographs, knick-knacks, books, and other objects. The sturdy construction of this Monarch Specialties standard bookcase is sure to last for years to come. Designed with practical style, this stunning Monarch Specialties bookcase has plenty of room for all your favourite titles. With its open storage design, you can easily organize and display books, photographs, knick-knacks, and other items. Thanks to the sturdy construction of this Monarch Specialties cubed bookcase, your items will be well-protected and organized. There's plenty of room for all kinds of items in this stylish Nexera bookcase. Its open storage design allows you to easily organize and display all kinds of items like books, knick-knacks, and photographs. 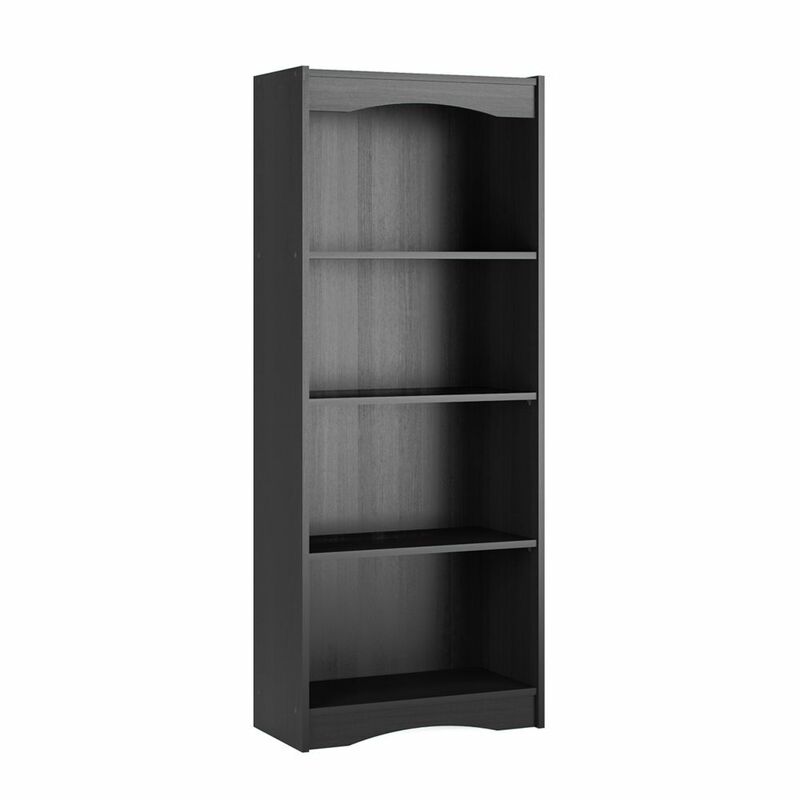 The sturdy construction of this Nexera standard bookcase is sure to last for years to come. 24-inch x 60-inch x 12-inch 4-Shelf Manufactured Wood Cubed Bookcase in Black This Sonax bookcase has eye-catching design and durable features. Accessible open storage provides ample room for displaying framed photographs, knick-knacks, books, and other objects. Thanks to the sturdy construction of this Sonax cubed bookcase, your items will be well-protected and organized. 24-inch x 60-inch x 12-inch 4-Shelf Manufactured Wood Cubed Bookcase in Black is rated 4.0 out of 5 by 1. Rated 4 out of 5 by DC2018 from Black Bookcase! I'm happy with my purchase, it serves the purpose, a little pricey! But hey it holds my books. Great Delivery!